An innovation and collaboration centre has been launched to develop ideas relating to data and the UK economy. 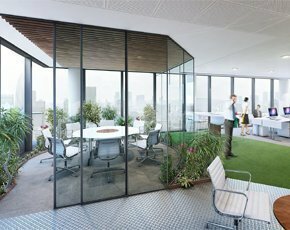 The Digital Catapult Centre at London’s Kings Cross will provide a modern space in which to showcase and develop ideas when it opens in November. Part of the Connected Digital Economy Catapult and funded by Innovate UK (formerly the Technology Strategy Board), the centre will concentrate on four major data challenges: trust and personal data; the internet of things (IoT); building diverse datasets; and reducing licensing friction. Entrepreneurs, small and medium-sized enterprises (SMEs), researchers and corporate organisations will be able to use the space to develop ideas and projects which may drive future economic growth. The centre will feature state-of-the-art collaboration systems, innovation labs and development spaces. As well as a programme of events and workshops, the centre will run intensive two-week sessions that bring together experts to help small and large businesses develop products or services. The centre will also home a secondment programme for PhDs and a student fellowship programme organised in collaboration with the Engineering and Physical Sciences Research Council (ESPRC). Once the first Catapult centre is up and running, the Connected Digital Economy Catapult hopes to open regional centres across the UK. Neil Crockett, CEO of Connected Digital Economy Catapult, said the UK is full of universities and clusters where people think of great ideas and are given support. “We want to complement that. We’ll bring people together in collaborative development projects to unlock four challenges in the data value chain to accelerate digital innovators to market,” he said. The Digital Economy Catapult predicts that it will have generated £365m of economic value by 2018, while helping 10,000 UK organisations. 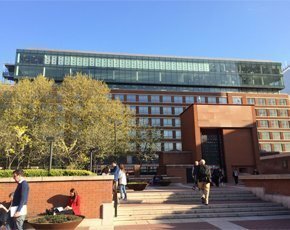 “Creative collaboration is at the heart of realising data’s true potential and the Digital Catapult Centre is an exciting new addition to the UK innovation landscape,” said David Docherty, non-executive director of Connected Digital Economy Catapult and CEO of the National Centre for Universities and Business. “It will not only provide a home for digital innovators to connect, but run a series of programmes, secondments and events to actually make this collaboration a reality. This is an exciting time for the UK’s digital industry and the centre is now at the heart of it,” he added. Bristol City Council, along with the Future Cities Catapult and the Connected Digital Economy Catapult, recently launched an open data initiative to encourage citizens to build services using local data. The plan was to release 100 civic datasets, which will then be open for citizens to access. The city hopes this will support developers who wish to create new products and services to improve the city using datasets such as traffic management data. The results of the open data initiative could result in apps to make it easier to get around the city and information on how to reduce waste, save energy and improve air quality.